RS supply water meters, pressure gauges and thermometers for your plumbing applications. Products such as single and multi jet water meters, volumetric meters, remote reading fluid thermometers, vacuum pressure and altitude gauges. We supply these items from many brands including RS Pro and Reliance. Standard probe for surface and immersion measurements. 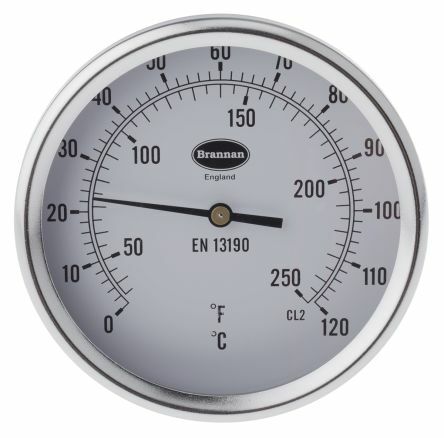 Bi-metal element thermometers with applications in the heating and ventilation process, and refrigeration industriesDual scaleAcrylic WindowTemperature range covers both hot & chilled water applicationsManufactured to DIN 162031/2 in. 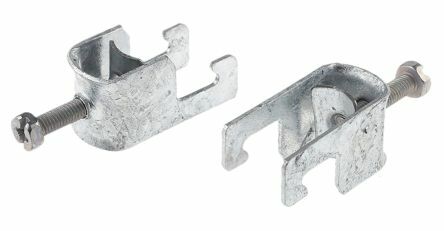 BSP Brass Male ThreadVertical entry types: 324-8384, 324-8413, 324-8407, 324-8429. 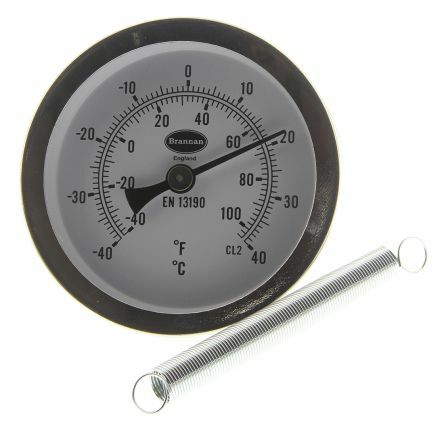 66mm diameter thermometers with Bi-metal movement. Designed to indicate surface temperature of pipework. Applications include boiler pipework, radiators, process pipelines Held in place by wrap around springNo need to drill pipe workGlass Window.